A new year, new management and a new name. 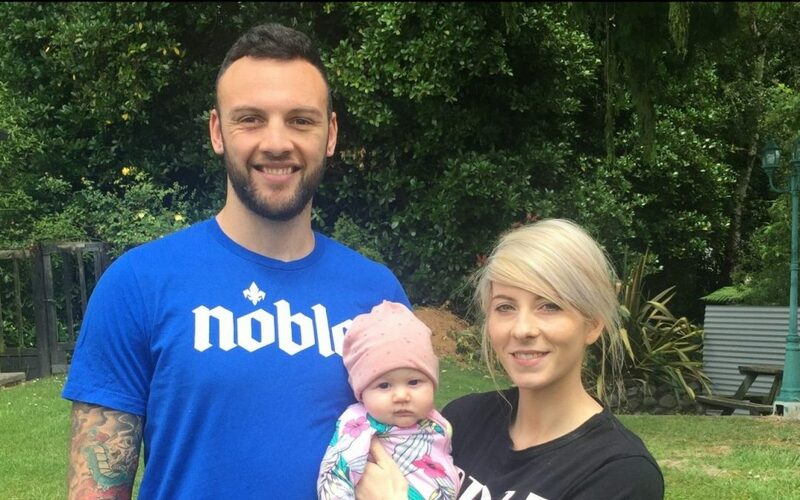 Next year is going to be an exciting time for Masterton’s Fortitude Thai Boxing Club, with professional fighter Zane ‘Hybrid’ Hopman and his wife, Chloe, set to take over management of the club. They will also be moving to a new location on Bentley St, and Zane said it would be a facility for everybody to enjoy. “We’ve thought about trying to encompass it all into one name, so the building is more of a centre. The change of name provides an opportunity to show what the centre will cater for, with Muay Thai kickboxing, boxing and Brazilian ju-jitsu all being held under the same roof. “It’s really exciting — it gives us the opportunity to build on what has been done for the club in the past,” Zane said. Present managers Bryce and Kylie Baron are stepping aside to allow the Hopmans to take over, and Zane said they were appreciative of the work they had been done to get the club established. Moving into a management role would provide a chance to bring a fresh approach, and a real desire to effect positive change with all ages and demographics in the region, he said. “We’re looking forward to taking it into a new era. Zane and Chloe have two daughters, Isabella and Saskia, and they both have plenty of experience with helping others. Chloe is a student in her last year of a social work degree, while Zane has been heavily involved in working with youth in the community. He has also set up the ‘Hybrid Youth Initiative’, and has been visiting schools and community groups to help students with training, self-confidence and resilience. Zane said they owed a massive thank you to Chloe’s parents, Terry and Tina of Rusty Roofing, who were the main reason they were able to move into a bigger facility. “He’s (Terry) been looking for a workshop to store gear and vehicles, so it made sense to try and do it together. They were also hopeful of having a fully operational boxing club at the facility in the future, and Chloe said there would be an emphasis on making the gym a family-friendly environment. “We’re going to have a kids’ area so people who have kids and want to train can bring their kids. The gym will open for 2018 on January 8.